Ultrasound is a commonly used imaging technique that utilizes sound waves to observe structures in the body. 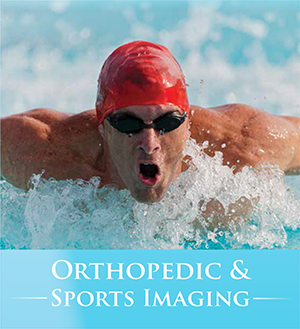 Evaluating the musculoskeletal system with ultrasound offers many advantages. Ultrasound provides high resolution and real-time imaging, with the ability to pinpoint the patient’s symptoms. Structures can be imaged in motion or under stress with ultrasound, which may help identify a problem. There is no radiation involved. The test is performed beside, and is easily tolerated by those with claustrophobia. Many patients that may not be able to have an MRI due to safety reasons may benefit from an ultrasound. Our qualified physicians offer expertise in this service. When is musculoskeletal ultrasound used? What happens during a musculoskeletal ultrasound? Depending on the area of the body being imaged, the patient may be lying on a bed or sitting in a chair. Clothing covering the area of concern must be removed. Warm, water-based gel is applied to the area to help transmit the sound waves. A probe or transducer will be pressed against the patient’s skin to obtain the images. The patient may be asked to move in specific ways to enhance the scan or to stress the structure of concern. After the scan, the gel is easily removed, and the patient may return to normal activities. Most tests take 30 minutes or less to complete.